In [Chesterton’s] generation, the Essay as a form of belles-lettres was still popular: in addition to Chesterton himself, there were a number of writers, Max Beerbohm, E. V. Lucas, Robert Lynd, for example, whose literary reputations rested largely upon their achievements in this genre. Today tastes have changed. We can appreciate a review or critical essay devoted to a particular book or author, we can enjoy a discussion of a specific philosophical problem or political event, but we can no longer derive any pleasure from the kind of essay which is a fantasia upon whatever chance thoughts may come into the essayist’s head. The familiar essay gives us one person’s take on some facet of the world, but it is a facet of the world we share. In other words, the familiar essay is familiar in the same sense that we might call Seinfeld a familiar sitcom — it took what we were already familiar with and reflected it back to us in a way that gave us pleasure. And that last part is the trick, I think. The familiar essay, as Auden noted, can be about whatever happens to flit across the author’s mind, but to be worth reading it has to bring us pleasure since it won’t bring us much else. It would be wonderful if everything we read brought us pleasure, of course, but that is too much to ask. Much of what we read we read for information, and it is enough if the information is accurate, a rare enough occurrence as it is. Some things we read for the insight and the angle the author brings to the topic, and these too need not be particularly well crafted to be worth our time. But if I’m going to read even a brief piece on say, “A Philosophy of Furniture” or “A Christmas Day at Sea,” it had better be more than merely accurate in its details. The former, surprisingly, was written by Edgar Allen Poe, the latter by Joseph Conrad. Safe to say both are known for their darker offerings. Auden mentioned three author’s known for their familiar essays, Beerbohm being perhaps the most well known today. He could have named many more. 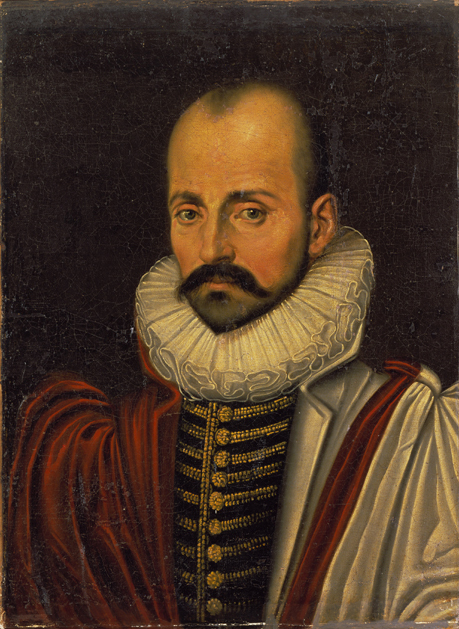 Though he did have antecedents especially in classical antiquity, the “Father of the Familiar Essay,” a title I may have just concocted for him, is undoubtedly Michel de Montaigne. Writing in the 16th century, the Frenchmen penned essays on sadness, liars, smells, solitude, sleep, drunkenness, books, friendship, thumbs, vanity, and, of course, cannibals, and much more besides. You can read all of Montaigne’s essays online, if you were so inclined, courtesy of the University of Oregon. Not too long after Montaigne, the Englishman Francis Bacon popularized the essay form in Elizabethan England. He managed to write on youth and age, beauty, deformity, suspicion, travel, delays, atheism, revenge, marriage and the single life, envy, and much else. As if the state of Oregon meant to establish itself as the essay capital of the Internet, Bacon’s essays can be found on Oregon State University’s website. From Montaigne and Bacon to the present there have been a number of authors who flourished in the essay form, although many of them are best remembered for their work in other genres. William Hazlitt (“Living to Oneself”) and Charles Lamb (“All Fool’s Day”) are regarded as the best 19th century English essayists. In the 20th century, G. K. Chesterton may win the award for most random topics, as for example his essay on “What I Found In My Pocket” and Hilaire Belloc takes the award for titles of collected essays. His include On Nothing, On Everything, On Anything, and naturally, On. it is always possible to introduce quite unknown names with such an air of authority that no one dares challenge you. A child, after all, knows most of the game — it is only an attitude to it that he lacks. He is quite well aware of cowardice, shame, deception, disappointment. The nod for contemporary master of the familiar essay, however, must go to Joseph Epstein. That is, of course, a ridiculous claim to make, since I’ve hardly read every contemporary essayist, but I wrote it with an air of authority. It was through Epstein that I first came to appreciate the genre and it was Epstein that first taught me that form alone can make an essay worth reading; although with Epstein form was never alone, but always accompanied by wit and wisdom. All of this to say that blogs are not unlike familiar essays. While some bloggers write only on a particular niche topic — food, electronics, movies, religion, politics, cars, wine — many bloggers seem to write on whatever happens to catch their imagination. Auden would probably dismiss these altogether, and sometimes I’ve been tempted to do so myself. But this may not be entirely fair. Like the great familiar essayists, good bloggers can pull off writing a fantasia upon whatever chance thoughts may come into their head. But they must bring pleasure to the reader in doing so. Style matters. But unfortunately, style is very often eclipsed by the constraints of the medium. My objection to the prose fantasia is the same as my objection to “free” verse …, namely, that, while excellent examples of both exist, they are the exception not the rule. 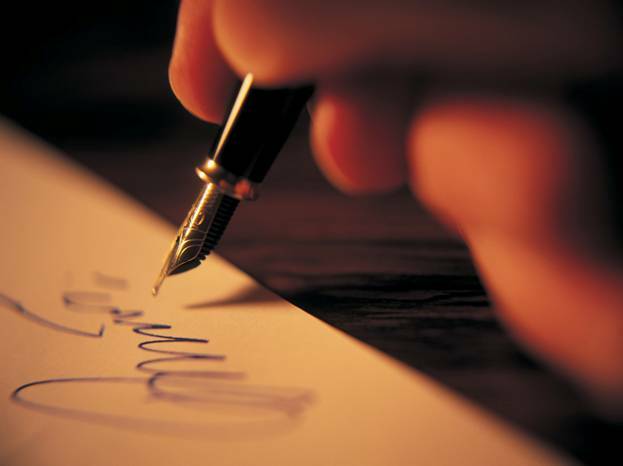 All too often the result of the absence of any rules and restrictions, of a meter to which the poet must conform, or a definite subject to which the essayist must stick, is a repetitious and self-indulgent “show-off” of the writer’s personality and stylistic mannerisms. Blogs have only multiplied the problem Auden describes. No doubt good examples of blogs exist, but they are drowning in a sea of mediocrity — a sea whose waters I’m pouring into myself. I suspect the best blogs, the blogs that rise to the surface, are the ones which manage to impose certain restraints upon themselves and flourish within the context of those restraints. So, time to think once more about what I’m doing here!